So, as the rules state, here go my replies. I hope you enjoy this look at TheFocusedFilmographer! I love rainy days and often find that it rains on the days I have to go to work…keeping me from sitting home and enjoying the rain. I lived in Germany for six years during a time when Germany was divided into East Germany and West Germany. Almost nothing annoys me more than wet socks. I’ve been in retail for half of my life. Traveling is one of my favorite things to do. I have no brothers, but I have three beautiful younger sisters. I am a Christian and love God, my church, and my church family. Postcards are something I enjoy collecting. Want to send me one? My German Shepherd’s name is Ryker…variant spelling of a character from one of my favorite scifi tv shows! 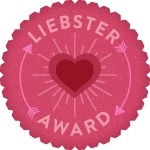 11 Questions each from bloggers who gave me this award! Who’s your favorite movie actor who’s currently starring in a TV show? I’d have to go with John Krasinski (Jim in The Office). I enjoyed his performance in Away We Go with Maya Rudolph. What makes you want to have a movie blog? I enjoy being a source of information, staying updated, and communicating with friends and fans all around the world! Which director/actor collaboration you’d like to see [it has to be people who have never worked together before]. Not certain, but right now Christopher Nolan and Shia LaBeouf comes to mind. What dish are you good at making? Grilled cheese sandwiches! haha. No, really…I am! But I’ll tell you, I can make a pretty amazing plate of Green chile shrimp scampi! Any encounter with a celebrity you care to share? 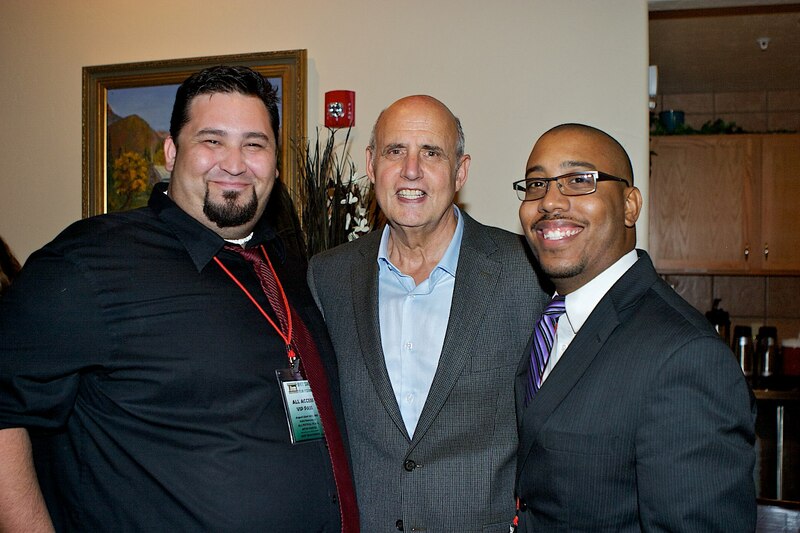 I recently met Jeffrey Tambor from Arrested Development (one of my favorite shows) at the White Sands International Film Festival. That was great. I also accidentally shoulder-checked the love of my life 😉 Scarlett Johansson on set of The Avengers. That’s a fun story! Which is your favorite movie writer [could be a journalist, novelist, etc.] I don’t know that I have a favorite! But I guess I’ll say J.R.R. Tolkein. Favorite outfit/costume from a movie? The one I got to wear as a S.H.I.E.L.D. agent in The Avengers! 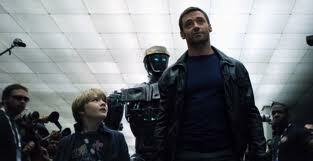 But I will say that I have been trying to find the jacket that Hancock wore since the movie came out. It would’ve gone perfectly with my motorcycle. But I’ve never found it available to purchase. Which actor/actress you initially detest but then slowly warming up to [feel free to reverse the question, that is an actor you initially love but now can’t stand]. I’m going to reverse this and say that I used to like Ed Norton a whole more than I do now. It’s not that I detest him, but his roles just aren’t as groundbreaking, memorable, or iconic as they once were. He went from Fight Club, The Score, Primal Fear, American History X, Red Dragon and The Italian Job to Bourne Legacy, The Illusionist, Kingdom of Heaven, Stone, Pride and Glory, etc. What is your guilty movie pleasure? Well, sometimes if I just want a big laugh, I will watch a few of the cheesy scenes from Troll 2 on YouTube! What mediocre classic-era film would you like to see remade? The Great Escape. I really liked that classic Steve McQueen film and wouldn’t mind seeing it redone. Are there are any modern actors you think could have held their own in the classic era? Yes. I think Hugo Weaving, Liam Neeson, Christopher Walken, Jennifer Aniston, Nicole Kidman, and Julia Roberts could have. What movie(s) do you always, without fail, stop to watch if you happen upon it/them while flipping channels? 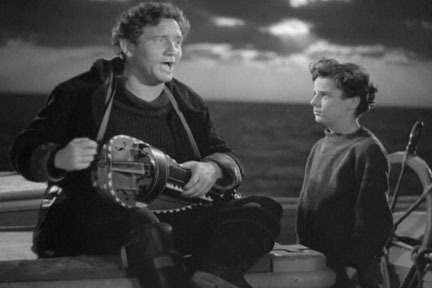 I will watch any movie with classic actor Spencer Tracy if I happen upon it. If a movie I own is on tv though, I usually just pop in the disc and watch it that way. Which actor’s or director’s work do you like in spite of yourself? Zach Galifianakis. As much as I don’t like a lot of his stuff, I can’t help but laugh during scenes of his in any movie I watch: Out Cold, The Hangover, etc. It’s an odd love-hate relationship for me! Who would play you in the movie of your life story (classic or modern)? I wouldn’t mind playing myself actually. But it’d be an honor to have any celebrity be interested in doing a film about myself…but there are so many more people deserving of a biopic before me. Nick Cannon can play me I guess. LOL. What’s your (astrological, not traffic!) sign? I’m a Libra I think. Craziest G/PG-rated thing that ever happened to you at a movie theater. Was in a theater when a ferret that was snuck in got loose. That was awkward! What made you want to start your blog? I started it just to share my opinion of movies with a few more people than just my Facebook circle of friends. Little did I realize how it would expand. Is there anything else you love to do besides devour films? I enjoy being involved in my church very much. Choose out of the two: Magnolia vs. Memento, Forrest Gump vs. Catch Me If You Can, The Jerk vs. Blazing Saddles. Memento, Forrest Gump, and The Jerk. If you had to choose one movie to watch for the rest of your life, what would it be? For the rest of my life? 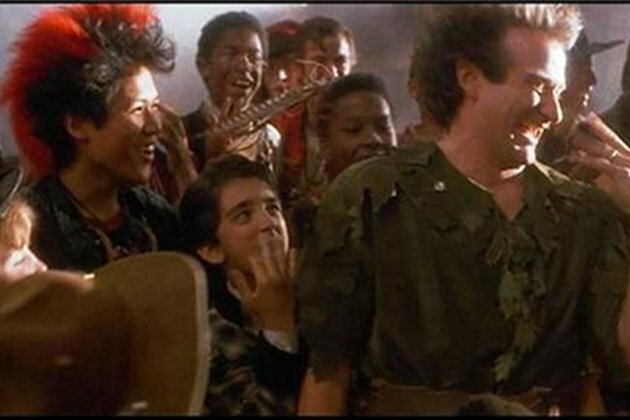 I’m watching HOOK! Is there truly a difference between a movie and a film? There can be, I imagine. I’m sure someone can point out the differences, but I’m failing to come up with any. What’s your favorite quote about life? Hitch said, “Life is not the amount of breaths you take, it’s the moments that take your breath away.” I like that. Explain the name of your blog. 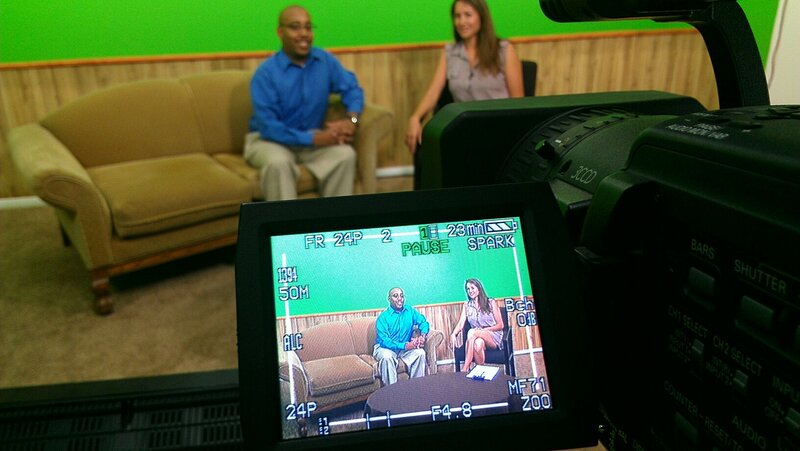 An emphasis on being focused in writing style and content as I share a passion for filmography. Has Denzel Washington had his “movie” yet? Tom Hanks had Saving Private Ryan/Cast Away/Forrest Gump, Tim Robbins had Shawshank Redemption, Clint Eastwood had Dirty Harry, and Robert De Niro had Taxi Driver. What’s Denzel’s? Denzel can keep going! I love his movies. But his best were: Glory, John Q, Man on Fire, and Training Day. Who’s the most important in the filmmaking process: the director, screenwriter, or main actor? Each portion is so important, but it’s all about the director’s vision of translating the screenwriter’s story to the screen and his empowering direction of the main actor. Do you have a Netflix account? If so, how many movies are in your queue? I do. I use it often. I currently have 11 titles in my queue. I believe Bunraku is next. If you could replace one movie that’s not in the Top 250 IMDB with another, what movie is it? Not sure how Midnight in Paris is NOT on the list. So, I will put it in the place of Eternal Sunshine of a Spotless Mind. Do you have any TV series that you wish to be adapted to a screenplay? 24. I’m still waiting to see Jack Bauer on the big screen. I also wouldn’t mind seeing the rumored movie of The Walking Dead come to fruition…but only AFTER the tv series is completely wrapped. Which superhero in a movie you’d like to date and why? Well, this goes without saying…Black Widow! What is your favorite ’80s soundtrack? I know I should choose one from a movie in the 80’s, but I’m going to go with 2012’s tribute to the 80’s with Rock of Ages. I enjoyed almost all of the 80’s songs on that entire soundtrack. What movie that you always see on a rainy day/unwell? There isn’t one movie that I always go back to. 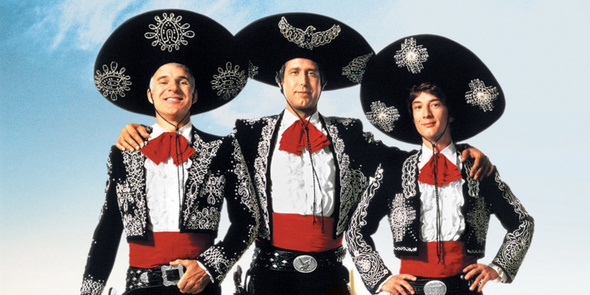 But I can always watch The Three Amigos! I have a “plethora” of go-to films! What is your most played soundtrack in your playlist/ipod/player? Most played soundtrack? hmm, I listen to most of them on Pandora. My stations are “John Williams”, “Alan Silvestri”, “Hans Zimmer”, “James Horner”, “Howard Shore” and more! Forrest Gump and Saving Private Ryan are just a couple of my faves. What 2011 movie that you thought was underrated? Ya know, I’ll go ahead and say Warrior. I was very much impressed and also glad that Nick Nolte received Oscar attention for his role. But the movie as a whole got passed over by many who still had 2010’s excellent film The Fighter in recent memory. What classic movie that you wish you could see them in cinema? A classic to see in the cinema? My vote goes to The Sting starring Paul Newman and Robert Redford. What is your favorite animated character? Mike Wazowski. there are several others I enjoy, but Mike ALWAYS comes to mind for me! Keep an eye out for Monsters Inc to return to the big screen in 3D here soon! What is you least favorite animated character? Stitch from Lilo and Stitch. Just…no. What movie icon (director/actor/actress) that you think he/she should have a biopic movie in the future? I think they should be even more selective about who gets a biopic made of them. Nowadays they are produced for feats as simple as twisting a paperclip into a lifesize copy of the Statue of Liberty. I’m gonna say that the biopic committee should take a recess for a few years, not be lazy, and encourage some additional imaginative writing. A actor/actress pairing you would like to see that hasn’t happened on screen yet? 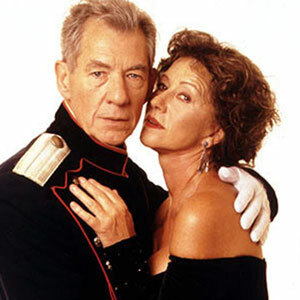 Helen Mirren and Ian McKellen! They’ve been on Broadway and theater together…now time for the Big Screen! What tv show do you watch(if any)? I am a self-proclaimed tv series junkie. I watch too many. LOL. Lately I have enjoyed Once Upon A Time, The Walking Dead, Grimm, and Touch…just to name a FEW. Favorite obscure movie almost no on knows about? umm, I don’t know if it’s my “favorite” but the short film 11 Minutes Ago was the first movie I ever reviewed after streaming it on Netflix. I liked the concept and it began my blog I guess you could say. So, yeah…11 Minutes Ago. You can read my modest review of it here. 1 favorite fun movie and 1 favorite serious movie? Fun movie: Billy Madison. Serious movie: Crash. Favorite scene involving masks(or a mask)? The obvious answer here is Spider-Man and Mary Jane’s upside-down kiss in the rain. Actor/Actress you like despite some bad role choices (not talking just 1 or 2 here either)? Shia LaBeouf. He gets a bad rap, but I enjoy his acting and think he is appropriate. I mean, the guy survived THREE Michael Bay movies. That’s saying something. Movie you liked but didn’t expect to? I didn’t expect to like K-Pax, but it is one of my most favorites. Movie you thought you would like but didn’t? Sucker Punch…it sucker punched me. Favorite performance by a actor/actress you generally don’t find notable? Winona Ryder was phenomenal in Black Swan. I don’t really care for her too much, but she was quite notable in Aronofsky’s film. Favorite movie from a genre you normally don’t care for? Quarantine. The found-footage/horror film surprised me…not in that it was groundbreaking, but in the fact that I enjoyed it for what it was. What is your favorite book about cinema (whichever type of book, covering any kind of film genre)? I was given a book about the history of the Academy Awards by a good friend of mine…and I am constantly learning more and more from it for the many years of the Academy Awards. Entitled The Academy Awards: The Complete Unofficial History. What is your favorite piece of music or song (score or the needle-dropped variety) used in a movie? I believe that the theme for Forrest Gump takes top honors for me, but I have continually had the song the dwarves sing in the trailer for The Hobbit in my head over the past week! Charles Bronson or James Coburn? James Coburn! What is your favorite foreign film (one made outside your country)? I answered with Spirited Away earlier, but if I can pick a second, I may choose Amelie. I haven’t seen all of it, but what I have seen, I liked. When watching a movie at home, what food stuff do you almost always have nearby? Popcorn. or something chocolate! What movie cliché are you so tired of seeing in film? People falling asleep in each other’s arms in bed and waking up hours later in the EXACT same position. haha. People DO move in their sleep! Also, it’s getting annoying seeing kids smarter than adults in so many movies. What’s the scariest scene or image your ever saw on film (and it doesn’t have to be from a horror movie)? Some of the scariest scenes/images I ever saw on film were in Schindler’s List. Some heartwrenching scenes that brought out the scary reality of horrific events during the Holocaust…and the equally scary notion that it is denied to ever have happened by some in this world. Sorry to get deep there, it’s just what came to mind. The Howling or An American Werewolf in London? An American Werewolf in London. Ever read the source book of a film adaptation that intrigued you? If so, what’s your favorite? Yes. The Hunger Games is the most recent that I enjoy. I often prefer to read the source material AFTER watching the film. Keeps me from watching the movie and being like others who nitpick every little thing from the book. Have you ever fast-forwarded a movie just to get to the good part? Only if I’ve seen the movie before and am looking for a particular part. If it’s a new movie, I can’t. I did that once and had no idea what was happening. What’s your favorite film from 1982? (This is a great question…as it refers to movies from the year in which I was born!) I would have to say Blade Runner, but I almost picked E.T. the Extra-Terrestrial and Star Trek II: The Wrath of Khan. What’s your favorite Peter Sellers film? Ooh, guess what? I don’t have one. I haven’t seen much of his movies. I started watching The Pink Panther and just wasn’t interested. I’m a big fan of classic movies and actors, but Sellers just isn’t on my list currently. What’s your favorite pre-Little Mermaid Disney film? Can I cheat and pick a few? It’s too hard to pick just one. 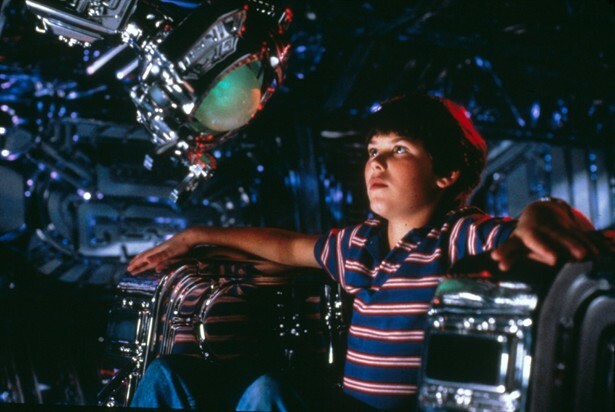 Flight of the Navigator, Honey I Shrunk the Kids, Tron, Robin Hood, The Jungle Book,…man, I could go on and on! What’s your favorite sports film? Hmm, I like several, like Miracle, quite a bit. But I only own 3: Facing the Giants, Radio, and Remember the Titans. So…take your pick! For Scorcese, what’s his most overrated, underrated, and your favorite film? Overrated: Hugo. Underrated: The Aviator. Favorite: Shutter Island. What film impressed you the most with its dialogue? Hamlet…Kenneth Branagh’s Hamlet. It literally follows Shakespeare’s work almost completely word for word. What film impressed you the most with its musical score? This is a toughie because I LOVE musical scores. It’s all I listen to on Pandora. Umm, The Lord of the Rings comes to mind for how it transports you directly to The Shire, Middle Earth, etc. There are too many scores to answer with. Of filmmakers, actors, writers, etc. that have passed away, whom would you have liked to met and interviewed? 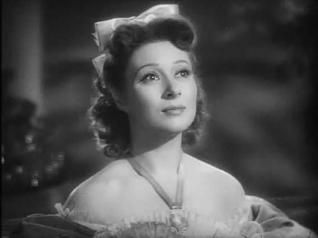 Academy Award winner Greer Garson. The gorgeous actress who starred in such classic films as Mrs. Miniver, Random Harvest and Pride and Prejudice. What film would you have loved to watch in a theatre with an audience when it first came out? Star Wars: A New Hope. I wasn’t born yet. Well, that’s it! As much as I want to pass this award on to others, I’m a little late to the party and think that everyone else has already been tagged and received the award. So, instead of passing on the award and questions to other bloggers, I’m asking you, the people, to answer 5 questions in the comments below. Which director’s work do you not really care for? If you could recast any iconic character in a movie, who would you recast? and who would be your new choice in the role? (for example: recasting Sigourney Weaver as Ripley in Alien with Milla Jovavich). Land Before Time or An American Tail? Have you watched Ben Hur? What movie in this final quarter of 2012 are you looking forward to seeing most? Can’t wait to hear your responses. Thanks for taking the time to read! Happy watching. Thank you for passing the Liebster to me. Yes, I’ll happily take a postcard! Fantastic and yeoman-like work to get this done, T! Wow. BTW, did you ever watch the original film (from Spain) that ‘Quarantined’ was based on, [REC]?. It’s worth checking out. Many thanks, my friend. whew…was a lot of work. Thanks so much. I never checked out [REC] but I’ve meant to. Thanks for reminding me. As always with these, so many things to talk about potentially… but I’m going to focus on Peter Sellers. Try to give The Pink Panther another chance some time; it’s one of my favorites, it’s a great little film. Some say A Shot in the Dark is the funniest of the series, and I can see where they’re coming from, but for me the original is the best. Also, Dr. Strangelove is a must-see. Glad to see some love for Three Amigos! ; I loved that movie as a kid, and when I had my wisdom teeth removed it was one of a few DVDs I picked up to watch during my recovery period, and it held up just fine. “My little buttercup” HAHAHA! I LOVE that movie. Thanks for chiming in sir. 1.Hmmm..not sure. Before i might have said Malick, but i did like Tree of Life(well,most of it anyways). 2.I heard Alexander Skarsgard was up for Thor, so i would be curious to see what he did with that role. 5.Hmm. Cloud Atlas has me curious. Also, even thought he early reviews for the Paperboy weren’t that good i am still anticipating it. Hey now, Cannon isn’t ALL that bad. LOL. Some great responses. A big YES to the ‘kids smarter than adults’ thing that is so prevalent. Also love that you love “Shutter Island”. Also great to hear of your church involvement. Same here! Thanks Keith! And glad to hear we have several likes in common. Great responses! And it’s so cool you basically have your own TV show 😀 And this is a really good idea: “I often prefer to read the source material AFTER watching the film. Keeps me from watching the movie and being like others who nitpick every little thing from the book.” I might use this sometimes in my Book Vs. Film series. I was watching Psycho recently, and I was thinking Andrew Garfield would be perfect as Norman Bates by Anthony Perkins. But I don’t think anyone should touch Psycho (at least not a 3rd time). I have not, but I’ve heard a lot about it. Hmm…it’s either a toss up between The Master or Lincoln. Thanks so much for nominating me so that I could respond. It was fun. And thank you for the kind compliments and support. Glad to see that you are looking forward to Lincoln too. I am. And that is an interesting idea for Andrew Garfield. Nice choices! Nice to know a little more about you, Terrence. That’s pretty cool having your own TV show. Nice that your fave foreign movie is Spirited Away. I knew that by writing that question (dating superhero), someone would answer Black Widow! I agree with Warrior as a 2011 underrated movie! Wise answer for my #11 question, and very true. Thanks so much Andina! I appreciate it. I tried to watch Eternal Sunshine several times and just couldnt get through the non-linear storyline. I usually very much enjoy Focus Features. I will try again. Wow it’s awesome that you get that you write for your local newspaper and have your little TV show on the side, T 😀 Love this meme although I think I already participated a couple of years ago. hahaha. nearly 200? Wow. I usually do a max of 12 as a goal to get through and then add another 12. I would feel a bit overwhelmed with 200! Thank you for your support and kind comments/compliments you have always thrown my way my friend. Thank you. Love it that you’ve got your own column and TV slot, THAT’s living the dream my friend! Thank you Pete. Very kind of you to say. It def keeps me busy, that’s for sure. 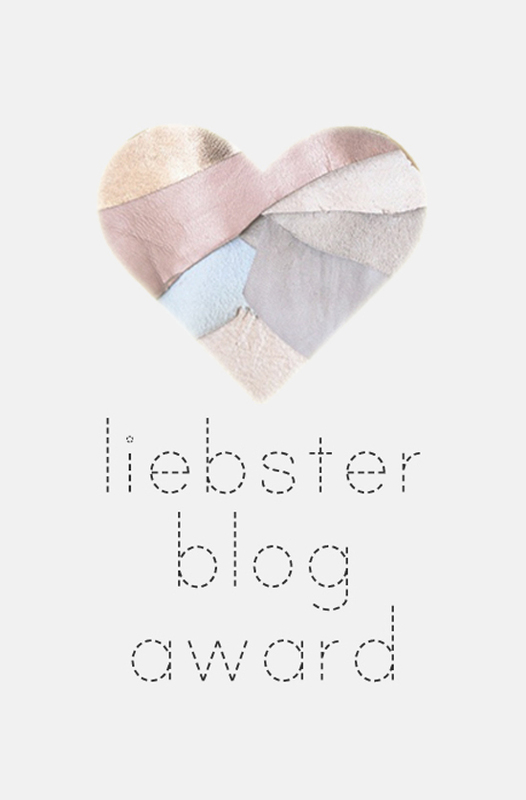 Sorry for delay T, I love these blog awards and I really enjoyed reading all your answers. So happy about your TV show & column. That’s awesome! i can see I’m going to have to pick more Spencer Tracy and Greer Garson movies to lure you back to TCM Party. Thumbs up on THE GREAT ESCAPE remake…people would complain but I’ve often thought they could re-do that one and it would be fun. I love the dinner guests you picked! I chose Nolan as well. 1. Director I don’t care for = Lars von Trier. 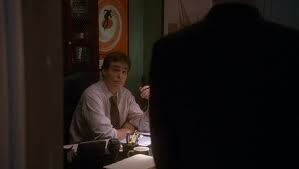 The exception that proves the rule is THE BOSS OF IT ALL (2006), which is pretty hilarious if you work in an office. 2. Recasting an iconic character. I can’t think of anyone really right now. 4. Yes! I like it but I prefer SPARTACUS. 5. Last quarter 2012 film I’m looking forward to = ARGO. The trailer has sold me, plus I loved THE TOWN. No worries my friend! Thank you for the award and for your kind comments. I hope to watch more with TCM for sure. But yes, Greer and Spencer def get my attention. LOL. But I’m down! If you had even more Spencer and Greer, I will make an even greater effort to be there. Maybe it’s good u don’t have them tho only cuz I’d be even MORE upset with myself for missing out on all the fun. hahahaha. have you seen Captain’s Courageous before? I have not seen that one, but I did DVR it last month. i can’t wait for you to watch it, Paula. It is one of my absolute favorites. Soo good! Now, I’ve just got time to read your answers to my questions. Ahah, I love your decisiveness about question #2, yeah, me neither! Nolan and Shia?? Wow, I never would’ve thought that, but I suppose that could happen. Hey, did you get to keep your clothes from the Avengers? That’d be sooo cool! I hear ya about Norton, he was completely wasted in Bourne Legacy too, looks like he’s losing it! Hope it won’t be for long though. My dear friend! Thank you so much for the awesome questions, honor, and response! Well, I am becoming more a fan of Shia lately. He was real good in Lawless. I think Nolan could do something great with him. Hopefully Norton will have another real good role soon.